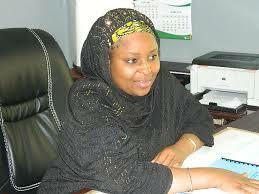 How was the journey since your appointment as the Commissioner of Health in Bauchi state? So far so good we have been trying our best and the journey has been good. We have been running a lot of programmes specially around the Ministry, Departments and Agencies (MDAs), State Primary Health Care Development Agency (SPHCDA), Drugs and Consumables Management Agency, the two tertiary institutions, College of Nursing and Midwifery and College of Health Technology, Ningi, and the Hospital Management Board, so we are running several programmes under the MDAs and the institutions being supervise by the ministry and some of the programmes are also being executed at the ministry. What are your targets when assume as the commissioner of health in the state? Actually even before I was appointed, the state has a 5-points agenda in the health sector introduced by Governor Mohammed Abdullahi Abubakar. Therefore, most of our activities are along the lines of these agendas. The first agenda is improving primary healthcare including routine immunization as well reproductive maternal newborn and child health and we have done a lot under that. We have gave free drugs and free treatment to the under-five children as well as pregnant women, then we also have a basket fund for routine immunization where the state have entered into an agreement to improve routine immunization, the state disburses fund into a basket fund. You know we had Bill and Melinda Gates foundation, we have Dangote foundation all are putting money in to that fund and we use that to improve our routine immunization and I am happy to say that we now have a lot of facilities, over one thousand facilities that are offering routine immunization, it is free and our immunization coverage has also improved, that’s the first agenda. The second point agenda includes providing drugs which are effective and we have our medical consumables management agency and they provide those drugs, and we have a very good and cost effective drugs and medical consumables. The third point agenda is improving the human resources for health, that is the healthcare workforce, and we have incentive so that it can help us improve their capabilities so that it should be retained so we have had a lot of trainings for the health care workers. Then our institutions, the College of Nursing and Midwifery we have had an accreditation and we have a lot of equipment there, also with the support of the World Health Organization (WHO), as well as the population council who are into human resources for health we have adequate books for them we have adequate practical materials for them. We also have the College of Health Technology that is providing the frontline healthcare workers, they are offering courses like in dental technology, environmental health, community health extension workers and what have you and we have accreditation in all these courses. Our third agenda is improving financing through improving financing and accountability. We also have two agencies backed by laws in that regard, the Bauchi State Contributory Health Management Agency and Bauchi State Health Trust Fund, Executive Secretaries have been appointed and guidelines have been developed and a minimum service package has also been developed. We are now trying to operationalise it; in fact we are now in Gombe to make the operational plan so that it could be implement. Also an executive secretary for the agency have been appointed, all these are financing mechanism that would help in improving financing in the health sector in Bauchi state. You know has always been the problem everywhere. We have that with all these interventions, these challenges would be overcome by God grace. What remains are for us to engage in sensitization fro our teeming populations to be aware of these numerous services we are rendering in these our institutions. How the Bauchi State Government intend to fund these agencies? For the running cost of the agencies the state government has a provision for it. 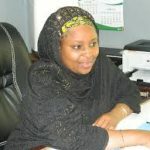 Also the health trust fund itself would derive funding from different sources; 5% of the IGR would be remitted to the fund by the seventh day of every month, 1% of the statutory allocation of each LGA which would also be remitted to the fund within the first 10 days of the month then 1% of every contract awarded by both the state and LGAs, so all these would be the source of fund for the BHETFUND. Then we would also access grant from NGOs, donor agencies and corporate organizations and any other source of funding. How would you advocate to the governor to ensure implementation and timely release of fund for these agencies? The governor has actually singed the law. What remain is more of advocacy, more of lobbying for the operational plan to be implemented. But I am sure the governor knows that we are doing this operational plan and being a person that has special consideration for health, I know that there wouldn’t be a problem. And with a high level committee that involves the commissioner of finance, commissioner for local government affairs, I am hopeful that we would be able to do it and the release of fund wouldn’t be a problem. Where do you see BHETFUND in the next few months? It is a very good thing because it would provide the much needed funding to the various agencies under the health ministry, because 50 per cent of the fund is meant for the primary and secondary health facilities, 20 per cent is meant for the training institutions, College of Health Technology and College of Nursing and Midwifery, 10 per cent is meant for epidemic and emergency preparation, while 10 per cent is for the equity fund for the vulnerable, healthcare package in the contributory management agency for people that cannot afford healthcare, then 10 per cent would go for malaria and nutritional intervention, so that is how the while 100 per cent of the fund would be disburse. So in the nearest future I see a situation whereby we would stand o our own and do the much needed intervention so that the Bauchi would be a diseases free state and the 5-point agenda would be achieved. How this retreat sponsored by the CHR would help in the implementation of the BHETFUND? Actually the retreat is very important because it meant to develop the operational plan, which is the guideline that would guide the day-to-day running of the fund which cannot be implementing without the guideline, which would serve as a compass on what and what to be done; as such it is going to simplified everything.